In large bowl, stir together chicken, seasoning blend, soups, tomatoes, chili powder and garlic salt. Layer one-third of the tortilla pieces in baking dish. 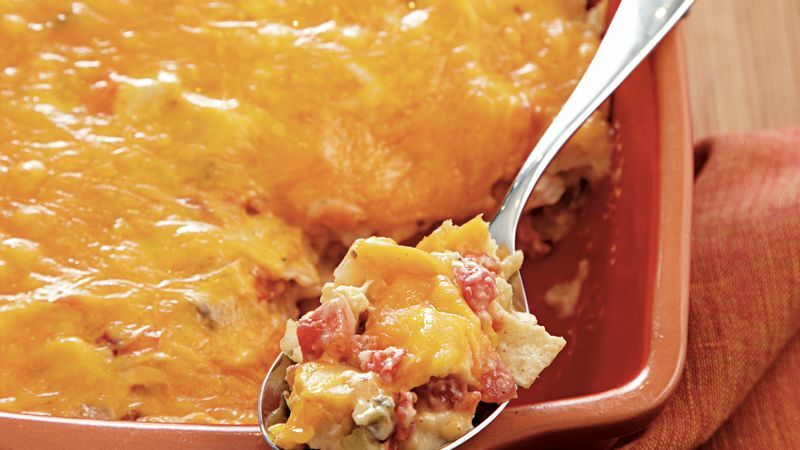 Top with one-third of the chicken mixture and 2/3 cup of the cheese. Repeat layers twice. Bake uncovered 32 to 35 minutes or until bubbly. Stir a few dashes of hot sauce into the chicken mixture before layering to add a spicier Southwestern flavor.